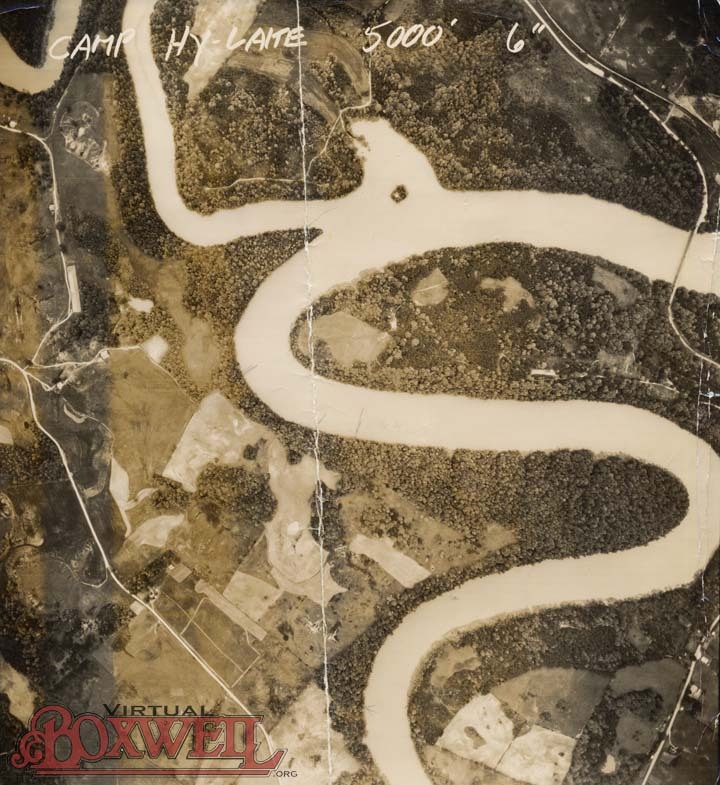 Seen here is an aerial photos of both Camp Hy-Lake and the Rock Island Boxwell. The Rock Island is the large “finger” in the middle of the photograph. Indeed, you can see the actual Rock Island quite clearly at the confluence of the Rocky and Caney Fork rivers. What makes the photo interesting is not just the Rock Island Boxwell, but the fact that the objective of the photo is Camp Hy-Lake. Hy-Lake is actually not in the photo as it would be a little further down the Caney Fork, just outside the bottom of the photo. For those who remember their camp history, Hy-Lake was the camp Ward Akers’ son ran in the 1970s… the camp that received cots from Boxwell, which was part of what led to the downfall of Ward Akers himself as Council executive. This photo was found in the Cripple Crab with several other documents from the early 1970s (ca. 1972-1973). There is no date on the photo, so it is impossible to know when exactly the photo was taken, but it certainly presents an interesting mystery. Regardless, it is a great aerial photo of the Rock Island property! Though “Camp Hylake” is on the top of the photo, it is the Rock Island Boxwell that is so clearly shown in this photo.